Do you know how long it takes for a person to form a habit? 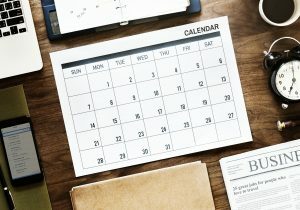 If you have ever looked into how long it takes or you have started a regimen with a coach, then you may have heard that it takes twenty-one days to form a new habit and for it to stick. This is only true for some of the most basic habits, such as drinking an additional glass of water each day. Forming a habit like implementing an exercise routine or incorporating daily servings of fruits and vegetables can take much longer… over TWO months! This is why “diets” don’t last. Thirty days is not long enough. What happens when you hit Day 35? You justify your cheat meal with the excuse that you ate healthy for the past thirty-some days. Then the cheat meal turns into a cheat day, and before you know it you have fallen off the wagon, telling yourself that next week you’ll start again. 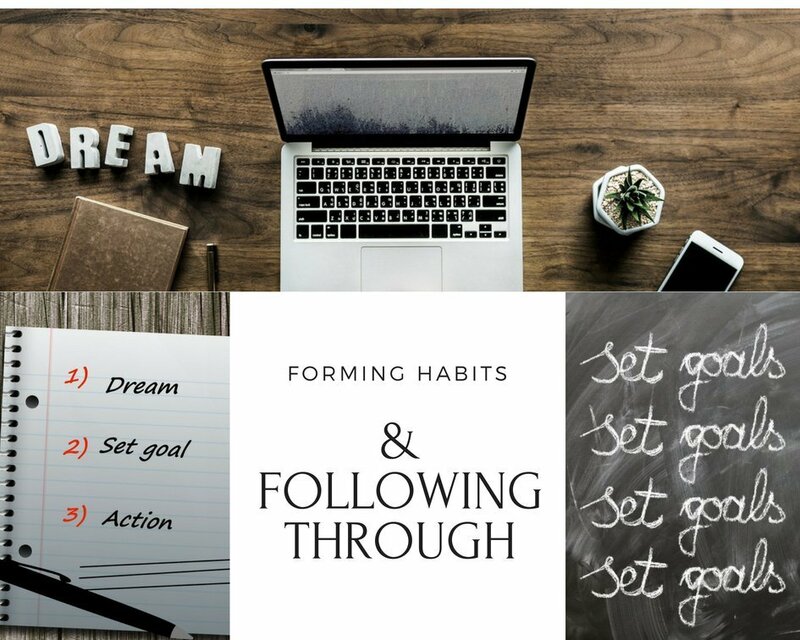 If you’re set on creating a habit that is going to improve your self (let’s face it, why would we consider any other type of habit? 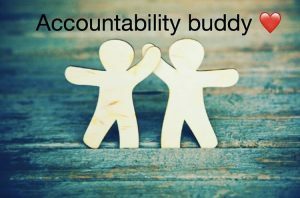 ), then I recommend finding an accountability partner. This person does not have to go through the same process, at the same time as you. Maybe this person already implemented the habit, which means he or she will have insight to provide. Or maybe this person reached an outcome/goal that you are hoping to attain by following a similar habit. Either way the accountability partner has improved their life. If you ever listen to self-development discussions or read books on mentoring, then you have heard that you are made up of the five people you surround yourself with. Attach yourself to people that have reached a level of success that you seek, in simple terms, someone who has what you want. This can be sought after in the business world, family life and spirituality. (Don’t be jealous of the practice of others, rather join them for guidance). Announce what you are doing. No, you don’t have to go to a rooftop and shout for everyone to hear. Make it simple, yet effective. Send out a quick text to your friends and family telling them what your vision is. They’ll either join you or provide support. This way they aren’t blind sighted by a shift in your routine that could affect the time you spend with them. I don’t go to the gym tomorrow? I eat a bowl of ice cream while following a set nutrition meal plan? I put off calling a mentor/colleague, and how will it affect my goals? I yell at my kids when there is a calmer alternative? Human beings are naturally hard on themselves. We’re our own worst critic, right? Personally, I’d rather not have to face the guilt of not following through. Hence, asking yourself how you’ll feel brings forth emotion, and when emotion is part of the equation the investment seems bigger. 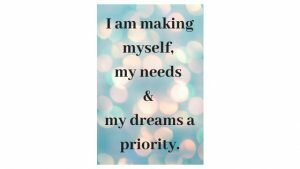 Many of us are willing to put our own needs on the back burner, placing the needs of our friends and family first. Now don’t get me wrong, I’m not telling you to stop taking care of your children so that you can create a habit/routine. What I am saying is schedule time and commit to yourself. When you place your own needs at the same level of importance as those around you, then you’ll be more efficient in all aspects of life. If you are working to create a habit, then you have a goal in mind. Commit. You’ll need to set aside time to take action – create said habit – and bring your goal to light. Clarity. What will this habit help you attain? Happiness, health, success. Remember it takes longer than 21 days to form a habit. Habits lead to goals, whether short- or long-term. Rather than “trying” a fad diet, work towards an overall healthy LIFESTYLE reset. It is about balance. Yes, there will be some sacrifice. Sacrifice does not equal deprivation. Without sacrifice you cannot achieve success. Baby steps… start incorporating more fruits and veggies into your meals, eat them before you eat the other food on your plate. In business, set your intention. (This has been a struggle for me.) Is your current career positioning you for retirement? Is it forcing you to bring stress home when you’re with your family? What is one task you can implement? Turning off your phone for an hour a day. Be open to opportunities that may differ from what has been engrained by years of school and societal norms. In family, do you lose your patience? Raise your voice more than you’d like? Forget to ask how a family member is doing? You can incorporate tips from nutrition and business as mentioned above… set an intention for how you want to treat family and even how you’d like to be treated. Start doing little things more often, an extra ten minutes of playtime rather than laundry. Lastly, here are some methods that I have used when forming a habit. 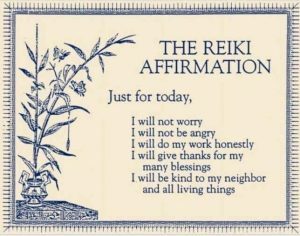 Affirmations. Talk to yourself nicer. Examples: I am always improving, and today I will use the knowledge I have, and learn more for tomorrow. I am capable of accomplishing my tasks. Visualization. This helps change your mindset, and can be set in the mind or in a physical capacity. For example, making room for an item you’re saving for, or purchasing a dress in the size you will soon fit in. Meditation. Clearing the mind of outside stressors lightens the load and can even be tied into visualization (above). Start with a couple minutes each day in a quiet space, if possible. There are great apps that have guided meditation practices. Accountability. Im blessed to have a supportive partner in all that I do. He holds me accountable, not to nag me, rather to see that I reach the goals I have set for myself. Ask a good friend to check in with you on set dates. More than likely this friend will feel honored and in return may ask a similar favor if you.